The thoughtless person playing with penicillin treatment is morally responsible for the death of the man who succumbs to infection with the penicillin resistant organism. But all too often, his suggestion and our expectations get frustrated. Anti-microbials include all agents that act against microorganisms ~ bacteria (antibacterial / antibiotics), viruses (antiviral), fungi (antifungal) and protozoa (antiprotozoal). Antimicrobial drugs once seemed like a miraclous antidote in the fight against microbes that have killed hundreds of people and infected many more. We are now in danger of losing the efficacy of that weapon. Old “adversaries” are returning back with vengeance and new infections are emerging. Despite the development of various vaccines and drugs, hundreds of people die of infectious diseases, notably tuberculosis, malaria, AIDS, dengue, cholera, and influenza. Even 40 years after the discoveries in molecular biology ~ DNA cloning, the sequencing of human genome, and human stem cell research ~ we still face the forbidding challenge of virulent, yet preventable, illnesses. Dr. Keiji Fukuda, Assistant DirectorGeneral, WHO, warns: “A postantibiotic era, in which common infections and minor injuries can kill, far from being an apocalyptic fantasy, is instead a very possibility for the 21st century.” In 1945, after receiving the Nobel Prize for his discovery of the miracle cure ~ penicillin antibiotic ~ the Scottish scientist, Sir Alexander Fleming, raised the alarm regarding overuse of antibiotics. In his acceptance speech he warned, “The time may come when penicillin can be bought by anyone in the shops. Then there is the danger that the ignorant man may easily under-dose himself and by exposing his microbes to non-lethal quantities of the drug, make them resistant.” In the wake of the discovery of penicillin, which was not used in a significant way until the early 1940s, many other potent antibiotics were discovered in the 1950s and Sixties. In the last few decades, the indiscriminate and overzealous use gave rise to mutant pathogens that are rapidly eroding the effectiveness of the limited arsenal of life-saving anti-microbials. 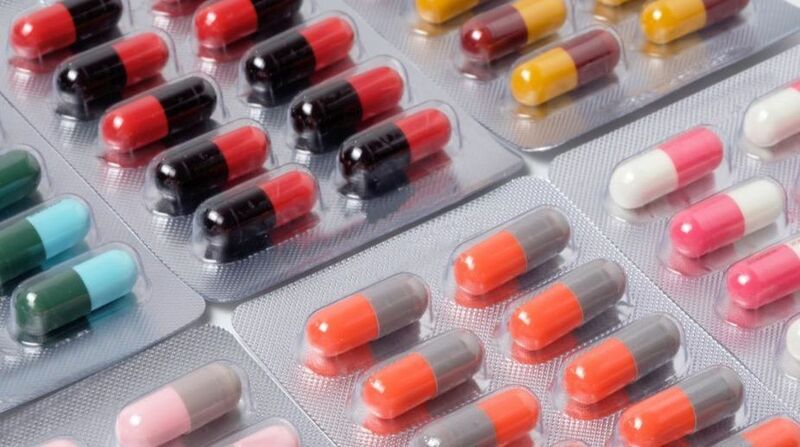 In April 2014, the World Health Organization (WHO) published its first global report entitled ‘Antimicrobial Resistance (Global Report on Surveillance) 2014’ on the issue by focusing on the rate of AMR to microbes responsible for many common infections, including pneumonia, diarrhoea, urinary tract infections, gonorrhea and sepsis. On the basis of data garnered from as many as 114 countries, the report stated, ‘Situations are increasingly arising where bacteria that are resistant to most, or even all, available antibacterial drugs causing serious infections that were readily treatable until recently’. How the progress of modern medicines, which relied on the availability of effective anti-bacterial drugs, is at risk has been highlighted in the report. “Common community-acquired infection such as pneumonia, which used to be readily treatable after the introduction of penicillin, may not respond to available or recommended drugs in many settings, putting the lives of patients at risk. In The Origin of Species, Charles Darwin claimed that there was a persistent ‘struggle for existence’ in nature, and that only the fittest would survive. Like humans, micro-organisms are merely responding and fighting for their survival. Indeed, they are better adept at evolving the conditions around them because of their staggering numbers. The evolution of resistant strains is a natural phenomenon and this is accelerated by the selective pressure exerted by widespread, indiscriminate and irrational uses of antibacterial drugs. Their self-defence strategies appear to be so strong that in 2011, scientists stumbled upon a 30,000-year-old bacteria under permafrost in Canada’s Yukon province. It defied modern antibiotics, suggesting that genes that resist antibiotics have existed since ancient times. A major problem associated with the use of anti-bacterial drugs is that resistant strains are able to propagate and spread where there is non-compliance with infection prevention and control measures. For example, when microbial drugs unleash a lethal attack on the body’s trillions of bacteria, some bacteria still survive. The bacteria, that is sensitive to anti-microbial agents, can become resistant by acquiring DNA with genetic coding for resistance. Bacteria sensitive to an antimicrobial can “mate” with bacteria containing resistance genes, or they can acquire these resistance genes by transduction. Some bacteria may acquire multiple resistance genes simultaneously and become resistant to several antibiotics. One of the major problems associated with the transfer of resistance genes is that they can be transferred not only among similar but also to quite different bacteria by horizontal gene transfer (HGT). In the never-ending arms race our first mistake has been the failure to respect our opponent or even to recognize the landscape of the battlefields. We are speeding up the process of AMR dramatically by using inappropriate and irrational doses of drugs. Doses prescribed by physicians are often self-adjusted or stopped midway by patients. There are several instances of such misuse of antibiotics. Cough and cold infections are caused by viruses, yet antibiotics are used as the prime line of treatment. Even pharmacists prescribe antibiotics on their own without being qualified to do so. Researchers of the Centre for Science and Environment (CSE) examined 13 studies conducted by various government and private hospitals across the country between 2002 and 2013. The result was startling. Resistance was very high against ciprofloxacin, doxycycline, tetracycline, most commonly used antibiotics. In certain studies reviewed by CSE, pseudomonas enterobacter, escherichia coli and klebsiella were found to be resistant to ciprofloxacin. Moreover, replying to a question in Parliament in 2014, the Union Health Minister said that the number of MDR-TB cases in the country has increased five times to 23,325 between 2011 and 2013. Almost one-third of all MDR-TB cases are resistant to fluoroquinolone, which forms the backbone of MDR-TB treatment. Even about 50 per cent of the antibiotics used in US hospitals are unnecessary.